The Internet has been called “The Information Super Highway” and rightly so. It’s now the epicenter of breaking news and the free-flowing information has brought the world and the people closer and made us aware of other cultures and traditions. But all this comes with a flipside. The amount of misinformation that is spread on the web is staggering. It is spread mainly via Websites, Social Networks, and Email. The Hot Topics for such misinformation are Politics, Government Policies, Religion, and various Scams and Hoaxes. Some websites have taken up the task of spreading awareness against rumors by presenting evidence and hard facts. Let’s look at some of the best sites that help us distinguish between the truth and rumors. They monitor the factual accuracy of what is said by major U.S. political players in the form of TV ads, debates, speeches, interviews, and news releases. Their goal is to apply the best practices of both journalism and scholarship and to increase public knowledge and understanding. Q: Did the new health care law give Obama a Nazi-like “private army” of 6,000 people? A: No. Contrary to false Internet rumors, the new Ready Reserve Corps of doctors and other health workers will report to the surgeon general and be like the “ready reserves” in other uniformed services. They will be used during health emergencies. The Updates come quite frequently since Politics, and Government Policies is a subject rife with rumors. They also present evidence about why a particular story is true or false, so they are quite good at what they do. PolitiFact.com is a project of the St. Petersburg Times to help you find the truth in American politics. Reporters and editors from the Times fact-check statements by members of Congress, the White House, lobbyists, and interest groups and rate them on our Truth-O-Meter. They’re also tracking more than 500 of Barack Obama’s campaign promises and are rating the progress on Obameter. This is one of their coolest initiatives. 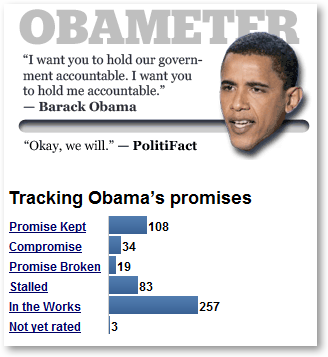 They keep a track of Obama’s campaign promises and whether he has delivered on them. If you are interested in Political Fact Checking or in tracking Barack Obama’s Promises, this is your best resource. OpenSecrets.org is your nonpartisan guide to money’s influence on U.S. elections and public policy. Whether you’re a voter, journalist, activist, student or interested citizen, use this free site to shine the light on the government. Count cash and make a change. Not exactly a Fact Checking website, but it does keep a tab on how much contribution does a representative of Congress gets from a specific company or a lobby group. You can see if this influences the decisions made by the person. This is one step towards making your representative in the Senate more accountable. Snopes.com is one of the best online resources that debunks Urban Legends and Rumors on a huge number of topics. It’s run by Barbara and David P. Mikkelson, who established this website in 1995. Since that time they have continually updated the database with new facts about, why something that is considered “scary” or “sinister” is just a legend created by the common folk. The number of topics they cover is just astounding, and they present enough evidence about every topic so that the visitors can make up their mind, whether the topic being discussed it true or just a rumor. TruthOrFiction.com is your Email Reality Check. Get the truth about rumors, inspirational stories, virus warnings, hoaxes, scams, humorous tales, pleas for help, urban legends, prayer requests, calls to action, and other forwarded emails. So basically it covers almost every hoax that lands in your Email Inbox. Even if you are Internet savvy, sometimes, these rumors can sound authentic. If you forward such emails to your friends, you are not only exposing them to the danger of going on some untrusted website but also are wasting bandwidth and server resources. “Warning That a New Virus is Activated by Using F1 Key in Windows” – It’s True. 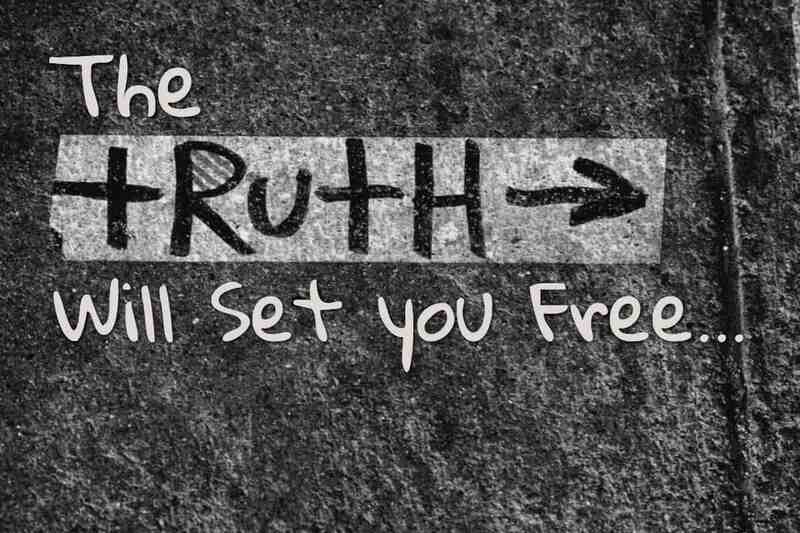 TruthorFiction.com covers a huge array of topics, so you can rest assured that you would get answers to weirdest rumors. Hoax-Slayer allows Internet users to check the veracity of common email hoaxes and aims to counteract criminal activity by publishing information about common types of Internet scams. Hoax-Slayer also includes anti-spam tips, computer and email security information, articles about true email forwards, and much more. This website is another Old School website about countering Email based Hoaxes. These are some of the websites we refer to get our facts right. Maybe we have missed out on some, if you know any other quality websites, do let us know in the comments below.